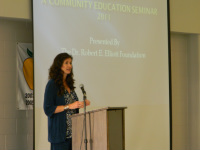 The Elliott Foundation hosts an annual "Understanding Depression" seminar in Searcy, Arkansas, which is provided FREE to the public. Continuing Education Credits are also available for medical professionals and the seminar covers multiple aspects of depression and available treatments. The seminar can be presented elsewhere upon request. 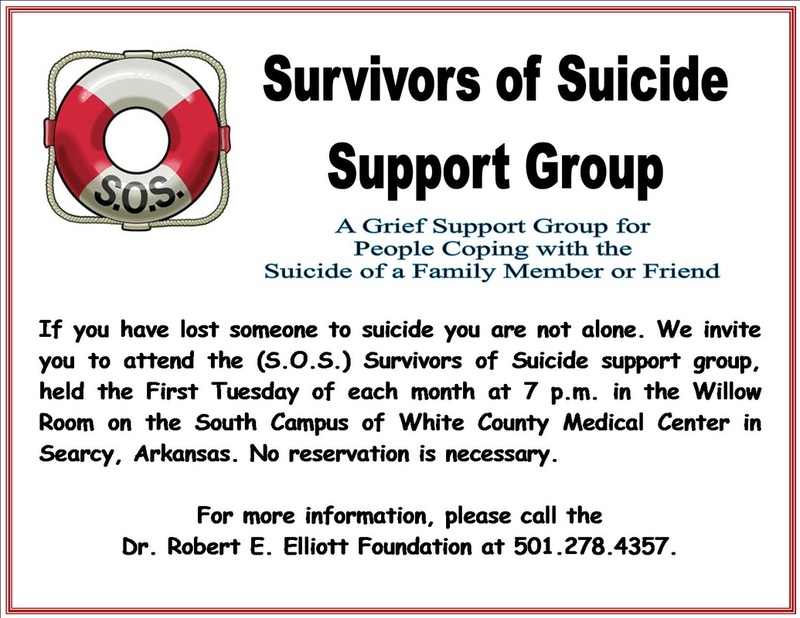 The Elliott Foundation is proud to sponsor monthly S.O.S. 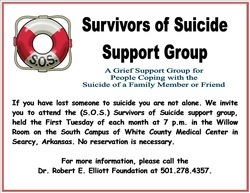 (Survivors of Suicide) meetings, held in the Willow Room on the South Campus of White County Medical Center. The meetings are free and for anyone who has lost a loved one to suicide. S.O.S. meetings are led by facilitators who are certified in grief support. For more information, please call 501.278.4357. We also provide FREE screenings at The Day of Caring on the campus of Harding University each year. The Elliott Foundation is committed to educating our student population and local schools about the importance of living and learning in a healthy environment. To schedule a presentation to your school group, please e-mail drrelliottfdn@hotmail.com. 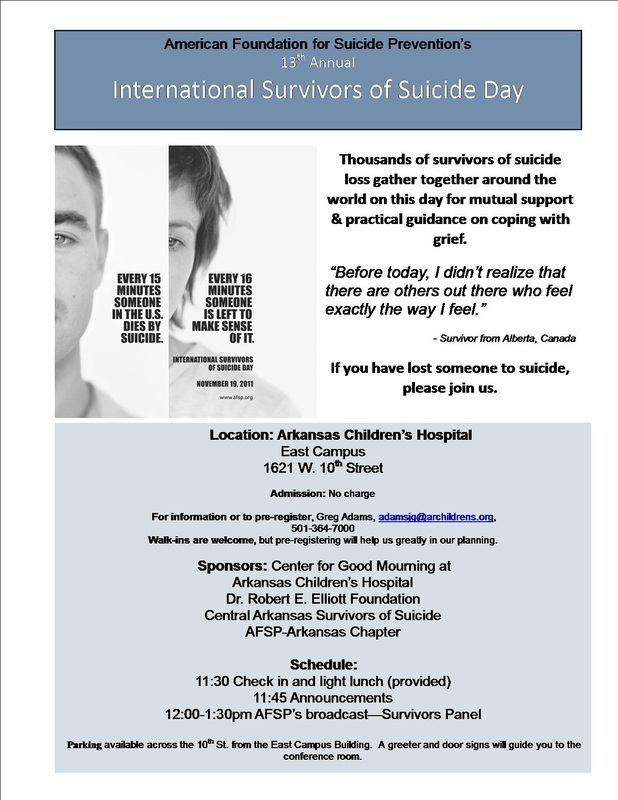 The Elliott Foundation is a co-sponsor of the International Survivors of Suicide Day event which is held each year at the Center for Good Mourning at Arkansas Children's Hospital. Participants gather together around the world on this day for mutual support and practical guidance on coping with grief. If you have lost someone to suicide, you are invited to join us. 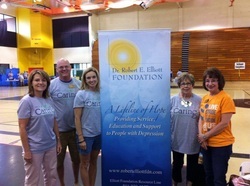 The Elliott Foundation is proud to participate in the annual White County Day of Caring. We provide free depression screenings, materialos and literature on depression, suicide prevention, bullying prevention and other mental health topics.